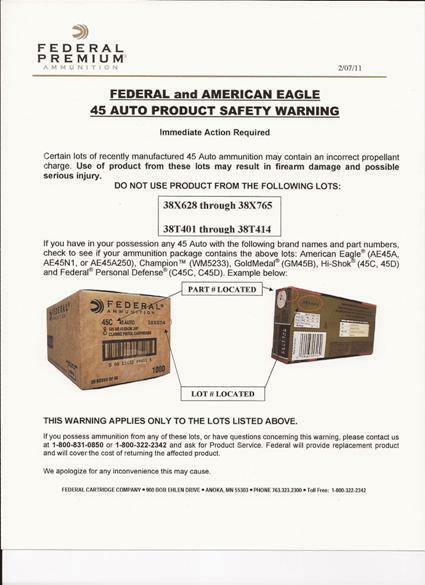 Please check out this product safety warning from Federal and American Eagle. It seems they might contain some incorrect powder charges in some recent lots. That can cause problems ranging from a gun malfuntion to serious injury (or death if your gun malfunctions in a SHTF situation). Please share this link on any firearms or other survival forums and blogs your frequent. I've recently come across another preparedness blog that I've added to my Links I Like page. Jake writes No More Dependence a couple of times a week. No More Dependence provides free emergency, disaster, survival, and preparedness information. Learn survival skills and prepare for an eventual emergency. I particularly like the way he breaks his posts down in to several different main categories so that the reader can easily find topics of interest. Take a look at No More Dependence and see if you agree. I went to a gun show today. This was a new promoter in a new location. It wasn't as big as the two that have been in this area for years, but it wasn't bad. There was a good assortment of dealers and items. Plenty of "black" guns, hunting guns, antiques, pistols and revolvers. There were even two dealers in machine guns and suppressors. The prices throughout the building were typical. No highway robbery, but no great bargains, either. A couple big ammo dealers were there, but I didn't look too much at pricing. Lots of knives were available. Everything from the cheapest junk knives to high quality factory blades like Cold Steel, and even a few custom bladesmiths. One couple had a few tables selling survival books and fire starters. They had a display advertising their wilderness and urban survival training. I'm going to look into their offerings and see what's up. I didn't really see anything that I had to have. The only thing I bought was a handmade western gun belt. I plan to go to a Cowboy Action Shooting match next month, and it seems I've outgrown the belt I used for many years. This one is of OK quality, but it was a great price and I bought it from the guy who made it. I hope to be back into my old belt by fall. Folks often make dried food mixes and store them in jars to use as quick meals or for long term storage. My wife recently found a quick and easy cake recipe that follows that principle. Mix together one box of Duncan Hines angel food cake mix , and one box of any other flavor cake mix. Store the combined powder in a jar. When you want some cake, dump 1/3 cup of the combined mixes into a coffee mug. Stir in 2 to 3 tablespoons of water. Put in the microwave for 1 minute in the microwave and it comes out as a fluffy, flavorful, cake for one. We haven't experimented yet to see if it will work in a regular oven, but if you have a generator, a minute in the microwave could be easily done. As I understand it, the reason this works so well is that the angel food cake has dehydrated egg powder already mixed in. Even if it doesn't work in the oven, it's a good way to LTS a treat for those nights when you don't feel like real cooking. I'm very pleased to announce that If It Hits The Fan has a new sponsor! Shelf Reliance has a great reputation in the preparedness community, and some wonderful products. They have many different sizes of food rotation systems ranging from the Harvest 72 to the Cansolidator Cupboard. They even offer a planning calculator so that you can enter the measurements of your storage space and it will tell you what unit will best fit. They also have the THRIVE brand of freeze dried foods. They have a huge variety of foods, including some that I have not seen before in other brands. I love Mandarin oranges, and am looking forward to trying THRIVE brand ones soon. They have a food storage calculator, and the Q program to set up planned and budgeted monthly purchases to reach your goals without busting the bank account. 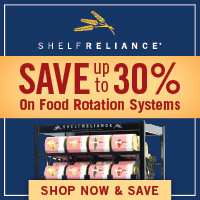 Please check out our new sponsor, and let them know you heard about Shelf Reliance here at If It Hits The Fan. They have some monster discounts and sales going on through Feb. 28. They are also our Sponsor of the Week. Only two days left to enter the extended time Thrifty Prepper Challenge! It was originally supposed to end 2/13, but I extended it to the end of the month. Take $10 to a thrift store and buy survival gear. List your purchases in a blog comment on the 2/4 posting. Whoever I believe got the most bang for their bucks wins something cool and useful from my barter larder. It's tougher than I thought. I've been to about a half dozen thrift shops this month and have managed to get nothing but two copies of Popular Science Mechanics with survival articles. Give it a try, you might just find the perfect piece of gear. If this doesn't work, we'll do it again in the spring, but add yard sales to the options. My sponsor, Directive 21, not only sells Wise Food Storage and the entire line of Berkey water filter systems, he also sells a Survival Seed Bank of non-hybrid, non-GMO seeds that are sealed in a ammo can-style seed vault. Jack Spirko at The Survival Podcast just released a video product review of the seed bank, and also provide commentary on some of the others in the emergency seed industry. He has asked other bloggers to share his review. Since Directive 21 supports both of us as sponsors, I wanted to share this review with my readers. This story from WUSA in Washington, D.C. looks at the weaknesses of the 911 system in the National Capital Region that were exposed in the Jan. 26th snow storm. This is especially concerning for those who are completely on cell phone, with no land lines. If the cellular system goes down, whether from natural disaster or terrorist attack, do you have an alternative method of communication? I carry a CB in my truck. We have these Midland radios around the house. Neither of these is good for distance communication or contacting emergency services (around here, police used to monitor CB Ch. 40 in their cars - I doubt that many still do). I have a good friend who is an avid amateur radio (HAM) radio user. One of these days my wife and I need to learn how to use them and get our licenses. I hope it doesn't hit the fan before we do. What alternative communications methods do you plan to use? I was watching "This New House" on the DIY network on TV and saw a product called Sole' Power Tiles. They are architecturally designed solar panels that match up with clay barrel tiles as you would find on a hacienda. They are a deep blue, made of car bumper plastic with a solar membrane overlay, and simply plug into each other to carry the power. According to the show, they cost about $50/sq. foot installed, last 25-30 years, are eligible for a 30% federal tax credit, and have a 5-10 year payback. They look like a very cool idea. Much more attractive than normal solar panels. But, I question the cost.﻿ The usual way to determine the value of solar is the cost per kilowatt. The company website doesn't give any information about how much energy these tiles are capable of. Currently, they are only available in California, but they are rolling out national distribution soon. They don't match my house, but if you live in a Southwest style place, they might work for you. I'd have to see more information about their effectiveness and efficiency before I could make a better call on them. I'm letting the company know about this post, and my questions. If I get the scoop from them, I'll be sure to let you know. As of a few minutes ago, we passed 5,000 page views for February! I had 650-some in December, and almost 2,900 for January. I truly appreciate your readership and support! When I get a case of writer's block or am tired after work, knowing I have so many people reading what I have to say is amazingly motivating. Thank you! Thank you! Thank you! I had a meeting today at the Emergency Operations Center in the city where I work. The purpose was to update hazard mitigation planning. We began the process several years ago, and needed to refresh the plan. We first looked at the hazards faced by our city and region. Hurricane winds, storm surge flooding, and tornados are a high risk. Of the federally declared disasters in Virginia in the last 50 years, our region has been in 20% of them. On the unnatural hazards side, we are an Urban Area Security Initiative locale, which means that the feds have figured us to be at high risk for terrorism. We are a military city and region, have three nuclear facilities surrounding us, have a major interstate passing through the middle of town, and are halfway between major historical and tourist attractions. I'm fortunate to be associated with a city with a well organized emergency plan and staff. In drills, the feds and state folks routinely rank us highly. background in public safety, CERT can give you information and experience that can help your family and community during emergencies. Being involved in the emergency operations community can also keep you more informed about the risks in your area. Lucky Gunner is a sponsor over at MD Creekmore's Survivalist Blog, and they have a great contest going with at $200 gift card as the grand prize. Lucky Gunner has some great deals on ammo like this .45 Hornady or this PMC .308, both of which would be great assets to my larder. The .45 would feed my trusty Sig Sauer P220 or my WWII Colt 1911A1. The .308 would be for my PTR91, an American built HK91 (but better). Lucky Gunner also has a cool page with different targets you can print off. As a person who once tried to make bullseye targets using Excel, this is a very welcome bonus! Check out Lucky Gunner for great ammo deals (and a really cool logo! ), and visit The Survivalist Blog to learn how you can enter the contest and read some great content. I got my favorite self-reliance magazine in the mail today, the Mar/Apr issue of Backwoods Home. I haven't read it yet, just skimmed a few the article, but it looks like a good one! I really like the libertarian editorial slant, and Dave Duffy has a column discussing reigning in local government through the purse strings. I recently had an exchange with a couple members of my county board of supervisors about their ongoing goals of excessive power, and I think I'll be sending them copies of this column. There's also articles about LED lighting, driving a well, goat milk, and a bunch about gardening. I always learn quite a bit from Jackie Clay's Q&A column. What really caught my eye was Massad Ayoob's gun article. Honest, I got the magazine today, and did not see it before yesterday's blog post. This month, Mas writes about lights on guns for self and home defense, as well as nocturnal pest control. He goes into it quite a bit deeper than I did yesterday. I encourage you to check it out. Massad Ayoob wrote the first defensive firearms book I ever bought, In The Gravest Extreme , when I was a teenager. It's a great work for those new to the idea. I picked up about 10 lbs of Fugi apples (wonderfully sweet and juicy, a hint of pineapple flavor) on sale Sunday. I got a mandoline slicer recently and I think it will make quick work of the apples after I core them, and give me uniform slice width to give uniform dehydrating results. I'll work on this project this weekend and let you know how it goes. I'm still new to the Excalibur dehydrator, and the mandoline is brand new. Heard a bump in the night? Did the dog bark for no apparent reason? Why did that motion detector light in the back yard come on? Twice this weekend, I had to arm myself and investigate something out of the ordinary. Lest you think I'm paranoid, I haven't had to do that in several years. Before I tell of my experiences, please think about a few things. Have you practiced getting around your house in the dark? How about any outbuildings? That Glock looks cool with the light kit. How much practice have you had with it? If you don't have a light kit, have you done low-light flashlight drills with your pistol? What about your shotgun, baseball bat, 3 iron, or any other home defense weapon? Do your family members know what to do if you are clearing the house? When should you hunker down in a defensive posture versus actively seeking out an intruder? Saturday night, the dog nosed aside the curtains at a low window on the back side of the house and barked in an unusually sharp manner. I looked out and saw that the light was on inside my workshop. I picked up my Sig Sauer P220 and a flashlight, and went out at the low ready. There are several ways to hold a flashlight and a pistol. As a cop, I trained extensively holding my hands back to back, so that is what I reverted to without even thinking about it. (In the police academy, we were taught one method of holding the flashlight in the off hand as high up as we could and as far away from the body as we could - the thought was that a bad guy would think he was being approached by a giant?!?!?!?!) There is no cover between the back door and the shop, so I was very alert as I approached. I could see through a window that an interior door was open, which was very unusual. I moved to the door, using the jamb as limited cover, and entered, quickly scanning the room and removing myself from the fatal funnel of the doorway. I then repeated as I moved through the interior door into the other room. The exterior door from that room was slightly ajar. Nothing was amiss, and our back yard is surrounded by a 6 foot chain link fence with closed gates with carabiners on the latches (I have keyed alike padlocks, but they only come out when we are out of town or if there is an emergency). I'm confident that no one had been in the shop, I more than likely forgot to turn off the light and close the door when I left it earlier. But it was good practice. Sunday night was not nearly as dramatic. The dog was going crazy barking, and my wife smelled a skunk. I went out front with my .45 and flashlight, and searched the yard and the neighboring wood lines, but to no avail. The stinker got away. So, the long and short of it is, if you get put in the position of doing something similar, I have a few suggestions for you. 1. Know your local laws about self-defense, property defense, and having a gun or other weapon outside of your home. 2. Be familiar and confident with your weapon and a light. 3. Be familiar with your home and property in the dark or low light conditions. 4. Have a plan for you and your family, and periodically practice the plan. 5. Check your flashlight batteries and keep them fresh. Escape is an autobiographical story of surviving and prevailing against overwhelming odds. It's not your typical survival book. There is no wilderness, no wild animals, no devastating natural disaster. It's the story of a young woman, Carolyn Jessop, who was born into and raised in a polygamous cult, the Fundamentalist Latter Day Saints (FLDS). This is not the LDS/Mormon Church. This group splintered off in the late 1800's when the Mormons disavowed polygamy. Neither recognizes the other as legitimate. You probably remember the raids on the FLDS compound and the manhunt and arrest of their leader, Warren Jeffs, a couple years ago. Carolyn Jessop was born into the FLDS. Her family had been a part of it for generations. At 18, she was forced into a plural marriage with a powerful member, Merril Jessop, and over the next fifteen years, had eight children by him and suffered incredible psychological abuse at the hands of him, his older wives, and eventually, even her own family. She eventually escaped, and contributed to the criminal and civil charges that brought down Jeffs, weakened the cult's power, and helped countless other wives and children. Carolyn Jessop has amazing fortitude and mental strength that gave her the insight to learn that her life was not as it should be and that she had to escape in order to survive. If you are interested in the psychological survival of those trapped by cults, or about the dirty backstory of apocalyptic religions, I recommend Escape for your library. Got the February sale catalog from Emergency Essentials this week. If you don't get it, check out their website to see their huge variety of freeze dried food and other items, and get on their mailing list. Also check out their blog, they have monthly contests, and this month are giving away a 25 gallon boxed water kit, a $29.99 value. The contest ends Feb. 23, so be sure to enter ASAP! 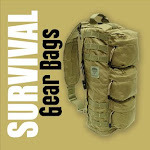 Survival Gear Bags is up as our Sponsor of the Week. Please visit their site and check out the wide variety of bags and packs they have at very reasonable prices. They also stock complete kits and accessories too. Give them a try, and I think you'll be very satisfied with your purchases, and especially with the personal service! Abercrombie & Fitch used to be one of the premier sporting goods stores in the world. In their NYC shop, one could order a custom built rifle and book an African safari on which to use the rifle. Now some designer owns the name and the A&F stores are in malls to sell grunge clothes to slackers. Banana Republic used to sell very cool clothes suitable for hunting in Montana, carousing in Havana, or hiking the Alps. Now they sell the same type slacker clothes as A&F. Herman Survivors used to make some of the best hiking, work and combat boots, dating back to the late 1800's. Now Wal Mart owns the name and sells boots under that label, made in China. Back in December, I bought a pair of Herman Survivors 9" Suede and Camo Hunter Boots at my local Wal Mart. The website shows them at $35, but out of stock. I got them for $26. They are Thinsulate insulated and waterproof. They are also pretty darn ugly. I tromped around in the snow, and even stepped into the muddy edges of a frozen pond. The tongue is pretty narrow and is not attached very high up on it, so they have to be laced up very methodically to ensure no gaps that would let in water. If I did my part there, they kept my feet warm and dry. They were pretty comfortable, but one of them had a slight squeak every step. The reviews I read on line are pretty consistent that they are not very durable. I haven't had mine long enough to judge. I think these will find a home behind the seat of my truck to be a part of my winter emergency kit. I'll save some money for a replacement by next year. I can't recommend these, especially at the $35 price. If you are flat broke and just need some winter boots to get you through this season, I might say you should look at them if your local store has them at the $26 that I paid. My favorite winter boot is the Matterhorn 10" 600 gram Thinsulate/Waterproof boot . I bought my first pair at Camp Lejeune before we shipped out to Saudi Arabia in 1991. We had some very cold nights out in the desert, and these things made me a lot more comfortable and battle ready. After returning, I used them the following winter in my job caretaking elephants and rhinos. The held up great to ankle deep piles of poo and freezing water from a fire hose. I think I paid $120 for them, a pretty steep price for me at the time, but well worth it. They lasted for years. I got my second pair in 2001 from a roommate who was a retired Army helicopter pilot who got them when he was in mountain warfare school. He had never worn them, so they were like new when I got them. I still have them, and they still work great and are very comfortable. The Gore-tex and Thinsulate lining is within a fine mesh casing, so they are great for slipping on over bare feet to check on a bump in the night or fire up the generator in nasty weather. They are for sure my first choice, and I highly recommend them if you need a winter boot. Today we went to one of the local battlefield parks to hike around and enjoy the beautiful weather. I looked around the little gift shop and saw a piece of hardtack for only a dollar, so I picked it up. If you don't know what it is, hardtack was the MRE or C-Ration of the Civil War. A soldier would be issued a pound (about 10 pieces) a day when on the march. It's kind of like a large, thick, extremely crunchy Saltine cracker, but without the flavor. It will store indefinitely if kept dry, so it may have some use for you in your 72 hour or car emergency kit. To make hardtack, use 5 cups of flour, 2 cups of water, and 2 teaspoons of salt. Preheat the oven to 425 degrees. Knead all ingredients until you get a stiff dough. Roll out on a floured surface and cut into 3" squares. Poke 16 holes in the top of each square (4 rows of 4). Bake for 15 minutes on each side. Turn oven down to 200 degrees and let cool, then bake the crackers until moisture is gone, about 8-12 hours. Eat plain, soak in a little milk, or fry in grease and sprinkle with sugar to make Skillygally. My Excalibur dehydrator goes to 155 degrees. I'm going to try a batch that way instead of 200 degree oven. I'm thinking it might work pretty well that way. I'll vacuum seal a handful and stick them in the truck. Enjoy the weekend, and don't forget about the Thrifty Prepper Challenge! Remember that the deadline has been extended to Feb. 28. I've had a ton of new readers today coming over from Modern Survival Online (thanks, Rourke)! I thought I'd kind of give a quick introduction of my self and of If It Hits The Fan. I live with my wonderful wife on a wooded two-acre spread in rural Central Virginia. We're getting ready to start our second year of gardening, have chickens for neighbors, and occasionally have to defend the homestead from intruding skunks. I've been practicing survivalism since I was a young suburban teen in the early 80's. I read Mel Tappan , Dr. Bruce Clayton , Jerry Ahern , and every gun and survival magazine I could get my hands on. I had what would now be called a BOB (Bug Out Bag) packed up under my bed with some food, a canteen of water, some purification tabs, a Ka-Bar knife , and a flashlight. I also had my .30-30 Winchester and pistol-gripped Mossberg 500 12 gauge ready to go. I served 6 years in the Marine Corps Reserve as an artilleryman. Part of that time was Operation Desert Storm where I had my first true personal survival test. In the buildup to Y2K, I was a true believer. Several friends and I were truly ready for the breakdown. I lived in a huge rented farmhouse on over 200 acres, and had enough food for over a year and enough weaponry to defend it. I encouraged my family members to prepare, and some of them still have their Aladdin lamps and propane camp stoves. Two friends and I even bought a 1-900 number and a developed a website called SimplifY2K.com. Catchy name, good idea, horrible execution - we knew nothing of running a website (who did in 1998?) and I think we had like 2 calls on the 900 number. For the past 23 years, I've worked in various capacities of law enforcement and security. For the past 5 years, I've been the director of security and emergency management for a large urban school division. In that role, I've become very involved in municipal emergency management and have been in the city's EOC (Emergency Operations Center) during several major storms and near disasters. I've attended numerous disaster and emergency management courses, and am a Certified Emergency Management Assistant (one of only 40 in Virginia). In addition to being prone to tropical storms, the city where I work is surrounded by three different nuclear facilities. I've really developed a passion and skill for emergency planning and it is a major part of my professional and personal life. I started this blog on an almost weekly basis in May of 2010. January 1st, I committed to daily posts (I've missed one a month) and building it up. My readership has drastically increased since I made that change. I'm very humbled that folks take time out of their busy days to read what I have to say. I don't take that for granted, and I strive to meet and exceed their expectations. As a new visitor, please look around. Check out some of the different topics. I've written about gardening; guns; fishing; food storage; product, TV and even music reviews; and current events. Use the search box on the right. Please "like" us on Facebook in the upper right corner of this page. Leave comments on the posts that interest you. Shoot me an email here if you have a question or suggestion. Thanks for checking me out. As the balladeer from The Beverly Hillbillies used to say, "Y'all come back now, ya hear?" We've all heard the tones. Sometimes on TV, other times on the radio. The older among us remember it as the Emergency Broadcast System (The really old baby boomers might remember the War Emergency Radio Service or CONELRAD). Now it is the Emergency Alert System. The vast majority of the time, it is a test of the system or an announcement of a siren or other alarm test. It is frequently for local weather emergencies. Although capable since the early 1950's, the system has never been used for an Emergency Alert Notification. That is the code used for the president to activate the system for a national address. That's about to change. Sometime in late 2011, the system will be tested. Emergency management, FCC and FEMA types are concerned about an unwary public freaking out from the test. They plan two months of advanced notice and outreach to prepare the citizenry to hear the message. I think I hold a little more confidence in my fellow Americans... But remember the whole War of the Worlds thing. I think this is a good thing. I find it amazing that the ability has existed for 60 years, but has never even been tested. If some national incident such as a wide-spread nuclear or other attack happens, the people will need to hear from the president, no matter who he happens to be at the time. I was at B&N this evening, looking at the discount shelf. 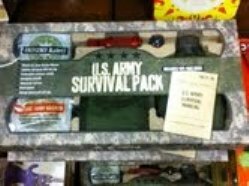 Mixed in with the macrame and sushi kits, I found this "US Army Survival Pack." All the kits on the shelf had ripped boxes, I suppose accounting for the discount status. The marked down price was $19.99. I don't know, but I'd guess $29.99 at full price. It has a hand warmer, space blanket, waterproof matches, match container/whistle combo, compass, pouch (looked like a GI first aid kit pouch), canteen and cover. It also included the US Army Survival Manual (FM 21-76). All of it made in the People's Republic of China. So, is it a good deal? I don't think so. FM 21-76, US Army Survival Manual Simply click on the link to download it as a free .pdf from my buddy Rourke over at ModernSurvivalOnline. If you must have it as a printed manual, it is all over the Internet in the $5-6 range. Canteen & Cover Survival Gear Bags has a 2qt. bladder canteen with a MOLLE digital camouflage set for $15 ($4 & $11 respectively). If you want a genuine GI 1 qt and cover, and don't mind used (if you were in the service, you didn't get a new one in your issue, and someone else got yours after you turned it back in), keep your eyes out at yard sales and gun shows and it's easy to find one for $2-3 for the set. So, with a little shopping around, you can find all of these items for about $15 or even less. And it will be better quality that what B&N sells. I'm digging in to my Y2K thoughts here, but how about a recipe for some of your long term storage foods? In my circle, we referred to Y2K as "the breakdown" when we were preparing for it. It spawned the saying, "In a breakdown situation, you'd be damn glad to have one," that we used whenever we thought about getting a particular piece of gear. After the breakdown didn't happen, I began using my stored food. One recipe I came up with was my Breakdown Sheppard's Pie. Pretty darn tasty, if I do say so myself. 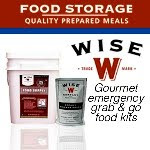 Our Sponsor of the Week is Wise Food Storage from Directive 21. Wise Food offers various sized selections of food packaged as individual meals in handy buckets in sizes ranging from a simple grab and go kit to a full year for a family. They have a huge variety that includes breakfasts, dinner casseroles, and soups. I have a tip, that if you don't follow, you are almost assured of It Hitting The Fan if you are married or have a significant other... Tomorrow is Valentine's Day - don't forget to get your someone special something for the day. Flowers, chocolates, a box of canning jars, a new rifle... You'll have to figure out the what on your own, I've done my job by reminding you! Yesterday on The Survival Podcast, Jack Spirko answered a listener's call about the 4 Gun Battery. Essentially, that's what might work for an all-around defense and hunting battery if a person was limited by money or laws or whatever to only four guns. Most folks give it a kind of generic .22 rifle (usually a Ruger 10-22), pistol, center fire rifle, and a shotgun. I've got way more than four guns, but I thought today about what direction I might take if I were so limited. I also looked at as a resident of rural Central Virginia, and also as a land owner in SE Wyoming where we hope to move at some point. The four guns that work here would not be the best choices for out there. It's pretty wooded around here, with gently rolling hills, and plenty of game of all sizes up to white tail deer. I'd be hard pressed to take a 100 yard shot from anywhere on my property. 1. .22 rifle - If I'm only going to have one, I'm going to go with the Henry lever action. The lever action will feed the usual .22 long rifle round - good for small game (or pests) like squirrels, the small rabbits we have around here, skunks, opossum, or sitting birds. It also handles shot rounds that are good for snakes and small rodents. It will also feed and function with .22 CB caps which are as quiet in my rifle as sub-sonic rounds in a friends suppressed Walther pistol. For different types of ammo, the lever action is much more versatile and capable than a semi-auto. 2. Mid-sized, high quality .357 Magnum revolver - Something like a Colt Python or Trooper or a Smith & Wesson model 19 or 66 - I'd go with a 4 inch barrel. The .357 is a very versatile round, and can be loaded very hot or very mild, with full metal jacket or expandable defense or hunting loads, and even with shot rounds. It will also take .38 special rounds for target or practice. The .357 is a proven self-defense round, and from a pistol is quite capable of taking small-to-medium sized game. 3. A .357 Magnum lever action rifle - again, the ammo versatility, out of a rifle, a hot load is great for the white tail deer we have around here, and with practice, it can be just as rapid as a semi-auto. I've shot a lot of Cowboy Action matches and it's amazing how fast one can get. The accuracy is fine within the ranges we have here. I'd stay away from the Model 66 or 73 reproductions and go with a Model 92 Winchester or 94 Marlin. The 92s will need to be 'smithed by someone like Steve Young. The Marlins are much better out of the box. The biggest shortfall is the slow reloading process, but unless you are in a true firefight, that wouldn't be an issue. 4. A 12 gauge pump shotgun with adjustable choke - You can shoot #7 or 8 bird shot on small mammals or dove, quail, etc...; larger #4 or 2 on larger game like duck, turkey or beaver; #4, 1 or 00 buckshot for large mammals, including two-legged predators; or slugs for longer range, hard hitting accuracy. The adjustable choke changes how tight the end of the barrel is and makes the shot pattern tighter or looser, depending on the purpose. Our land in Wyoming is open prairie, at about 7,000 feet, no trees, clear views for dozens of miles. The game ranges from great big jackrabbits to antelope to elk. I'm sure there are birds to hunt, but I don't know the details of the area yet. 1. .223 semi-auto rifle - AR15, M-4, or similar - Useful for the jack rabbits, as well as defense to several hundred yards. 3. Bolt-action rifle in .300 Winchester Magnum or .338 Lapua Magnum, possibly a Remington 700 or McMillan M86. These calibers will reach out farther and hit harder than the .308, and good for the largest of game or long range perimeter defense. These are my thoughts for my two specific situations. Your millage may vary, depending on your terrain, local game, perimeters, skills and experience. Looks like folks are starting to use the link through to Amazon. It gets me a small commission from every purchase you make, and doesn't cost you a thing extra. Thanks! Please also support our advertisers and tell them you got to them through If It Hits The Fan. When I was in the Marine Corps, we picked up rifle brass on the range by crawling around and tossing it in our covers (hats for my civilian friends), then dumping it in a bucket when full. Between shooting relays, we'd rip open an MRE and chow down. I began my police career the same way. After being a cop for a few years, I was on a neighboring jurisdiction's range for a tactical shooting class. After shooting, I pulled off my ball cap and started crawling around throwing pistol brass into it. I thought the range master was going to have an apoplectic fit. Turns out that they had started worrying about lead exposure. By the time I ended my police career, range masters would read lead statements at the start of each shooting session that outlined hand washing and how to clean range uniforms (change before entering the house, placing the contaminated clothes into a separate, cold water wash cycle) all the way to showering (cool water, before any contact with the couch, dog, children or wife. While I'm sure that a person shouldn't lick their hands after shooting, and frequent and heavy shooters frequently have elevated lead levels in their blood, the police agencies might be going a bit overboard for twice a year shooters. I just learned of a new product designed to help minimize lead exposure from the range. Hygenall sells "handy wipes" that decontaminate lead, mercury, and other heavy metals from skin and surfaces. The CDC and the National Institute for Occupational Safety and Health actually recommend the product. They are available in a handy canister of 25 wipes, a wall mount that holds 400 wipes, and the industrial sized floor tub that holds700 wipes. The wipes, in a sealed container, have a 18 month shelf life. If you are a shooter or have other exposure to lead (fishing sinkers, wheel weights) it might not be a bad idea to get a canister or two. Like always, if you do, please let them know you heard about them at http://www.ifithitsthefan.com/. It's the weekend! Don't forget to visit a thrift store or two to get the most bang for your 10 bucks and post about it here to have a chance at winning something from my Barter Larder. Contest runs through Feb. 28th. I've never been very familiar with the Girl Scouts (other than their delicious cookies each year), so I've always thought of the Boy Scouts when it comes to "Be Prepared." It seems that the Girl Scouts are taking emergency preparedness very seriously. The Girl Scouts have partnered up with Homeland Security and FEMA to promote emergency preparedness among the Scouts and their adult leaders. The Girl Scouts now have an Emergency Preparedness Patch Program. To earn the patch, the Scouts must learn about the natural and man-made risks in their communities, meet emergency responders, and become part of their communities' preparedness plans. They are tasked with developing emergency plans for events ranging from cookie sales at the local grocery store to weekend camping trips. Troop 5127 of Potomac, Maryland developed this PSA to spread the message to their community. I think that promoting preparedness among the youth is a sure way to help our communities prepare and build self-reliance instead of depending on the government to come to the rescue after a disaster. If any of you have Girl Scouts in your family, I'd love to hear if they have been involved with this patch program and their experiences with it. CampingSurvival.com has a contest going on until midnight tonight. Watch their Video Blog for today about Paracord, then leave a comment on You Tube about it. They'll draw a winner tonight from the entrants and the winner will get 100 feet of bright blue paracord. No se mueva! Don't move! Muéstrame tus manos! Show me your hands! ¿Cuántos otros hay? How many others are there? ¿Necesita atención médica? Do you need medical attention? Yo te puedo ayudar. I can help you. The class starts with the basics. The alphabet, numbers, days and months. It proceeds in later lessons to interviews, motor vehicles and crime scenes before ending with a test. It uses audio to help you learn pronunciation and short quizzes throughout to reinforce each lesson. I haven't had Spanish since 1985, but much of it has started coming back to me. Although it is presented as being for law enforcement, anyone can take the class. Your tax dollars paid for it, you may as well take advantage of it. I went to the DAV thrift store this afternoon with the goal of spending my $10. I found nothing. I considered buying a very heavy duty ratchet strap for $2.99, but I passed, and another guy picked it up while I was still there. There was also a nice external frame backpack for $4.99, but I did not need one. So, in light of my sad visit, I'm extending the contest through the end of February. That gives you plenty of time to shop around. The stock at those stores is constantly changing, and you can check different stores. I'll even allow multiple entries from the same person, but only if they are from different stores. Please consider our sponsors when buying your survival gear, and tell them that you heard about them here at IfItHitsTheFan.com. Also, if you are buying from Amazon, please go through our Amazon store to get there. I'll get a small commission and it won't cost you anything. Seems like that here in the Mid-Atlantic, we just finished Hurricane Season not too long ago. It officially runs from June 1 to November 30. It will be back before we know it. I came across a free publication from the Red Cross, FEMA, The Home Depot, NAHB, and GEMA entitled: Against The Wind: Protecting Your Home From Hurricane Wind Damage. It's a quick, 8-page read, and gives a few things to think about. It covers reinforcing your roof, double entry doors, double-wide garage doors, and plywood storm shutter construction. If you live in the area like we do, now is a great time to work on some of these improvements. We just have a small crawl space into the rafter area of our house, and frankly, I've never been up there. I have no idea how sturdy our trusses are or if they have any reinforcement. I'll crawl up there this weekend and see what I can do. I'd much rather work in an attic area when it is cold than in the summer when it is sweltering up there. If you are in a hurricane-prone area, I encourage you to download the booklet and see if any of it might work for your home. Don't forget to spend $10 at a thrift store and enter out Thrifty Prepper Contest! That wouldn't have flown with the old Battery Gunny back in my days in the Corps. But you know who would dig 'em? A little girl. We have a 4th grade niece and a kindergarten nephew. They don't know a whole lot of emergency numbers. She doesn't carry a purse nor he a wallet. When I was interviewed on The Berkey Guy Radio Show back in December, a listener suggested a dog tag for children with emergency info on it. I have found these customizable dog tags for kids from My Precious Kid for only $10. They are customizable with up to 8 lines of up to 15 letters or spaces each. You can also put the child's name in larger letters, but I suggest not putting that on there. They can be had in blue, red, green, pink, purple or black. For ours, I'm ordering a pink one for the girl and green for the boy. Each will have phone numbers for mom, dad, two aunts and grandma. We're fortunate to only have one area code around here, so we don't need to include those. In a more crowded region, you'd have to take that into consideration. These tags come with a small caribiner with what appears to be a screw lock to keep it secured. The tag can go on a belt loop, shoe laces, or a back pack. The website recommends against a chain as a choking hazard. If you get a real military chain from a surplus store, that will should not be an issue on older children as the chain will pop under some pressure, but on younger children I agree with the seller. I'm going to get these ordered, I'll let you know when they come in and how the quality is. If you happen to order from these folks, please tell them you heard about them here. Sony LCSCSQ case that fits my needs. It has a belt loop that will prevent the pouch from jumping off. The duel zippers allow me to open all or just part of it to get to the gear. There is a small Velcroed pouch on the front that will hold a few small, flat items. I'll put this kit together over the next few days and give a full report soon. I rotate my sponsors of the week each Sunday. For the coming week, The Berkey Guy is it. The Berkey Guy has the full line of Berkey water filters as well as a number of other great items. The Berkey Guy has fantastic customer service, and when you call, you speak directly to him, not customer service in another country. Please support all of our sponsors and let them know you got to them through If It Hits The Fan. Starting your own business is a great way to achieve independence and self reliance, or maybe just some extra money from a side gig. The other evening, we ate at an Italian restaurant that featured all of their food cooked in a wood fired brick oven. I got to thinking, where do they get the wood from? I can't imagine they get a truck load from corporate each week with the shipment of food. Yesterday I noticed a large pile of wood behind the Cracker Barrel for them to use in their fireplace. Where do they get it? Same thing with barbecue (for those of you not in the South, barbecue is not what you do to burgers and dogs over charcoal or gas, it's tender chopped pork slow cooked over hardwood smoke for hours upon hours with a seasoning that is dependent upon where in the South you are) joints. Where do they get it? Living out in the country, it's common to see a trailer parked in a yard with a sign that offers fire wood for sale. But you have to depend on someone driving past and needing firewood at that point. What if you had regular access to good quality hardwoods? Why not seek out restaurants and try to get contracts with them to buy your regular shipments? Just a thought... take it and run with it if you are so inclined. I've been talking about this post for several days, but it is turning out larger than I anticipated. I'm still turning up resources and background information. It's coming, I haven't forgotten. Just please be patient and stay tuned. I hope it will be worth it! For years I've resisted getting an iPod and joining the hip and trendy crowd. For two years, I've had a second hand mp3 player that cost about $29 when it was new. It had no music on it; I used it solely for listening to The Survival Podcast, The Berkey Guy Radio Show, and Dave Ramsey. I saw no need for an iPod, because I seldom listen to music. The other day, my mp3 player gave up the ghost. I figured I'd get another cheapo player and be back in business. Between my wife and the salesman, they talked me into an 8GB iPod Touch . Overnight, I've turned into a techno geek... this thing is amazing! I downloaded my wife's playlist, about 200 songs in a matter of minutes. The last time I downloaded music, Napster was still legal and it took about an hour a song over dial-up. I used the video camera today to film our nephews winning the district titles for their weight classes in HS wrestling. I'll soon figure out how to post to You Tube and then do some product reviews and show & tell sessions. From the App Store, I've downloaded some free ones of a prep and survival nature. I've got interactive versions of a the SAS Survival manual, a 50,000 page medical guide, and even a flashlight. The flashlight emits a glow that is enough in extremely dark environments to find your way around or at least find a real flashlight. It can be used as an e-reader as well, and I've downloaded free versions of Swiss Family Robinson and The Last Man. I hear from Jerry Ahern that the entire series of The Survivalist will soon be available for e-readers, and I can't wait. I used ear buds with my old mp3 player to listen to my podcasts, but it got tiring. A few months ago I got a FM radio adapter to play the podcasts through my truck radio. With the iPod Touch, I can have it in my shirt pocket and it is loud enough to not need earbuds or any amplification. I think this thing will be a real asset. I hope to find many more useful (and hopefully free) apps, and I'll periodically talk about them here. If you have been resistant to technology like I was, you might be pleasantly surprised. You might also keep information on it that can save your life. I'm a Cheapskate, Are You? Prepping can be extremely expensive. Whether hobby, vocation, or lifestyle, the gear, food, weapons, and training can be really costly. Today I was reminded of a way to make it a little easier on the budget. I took some things by to donate to the Disabled American Veterans thrift store near my office. I didn't have a whole lot of time, but a quick scan of the book shelves showed a ton of books that could be of great use to a prepper, and at pennies on the dollar of original costs. I picked up two 2010 issues of Popular Mechanics with cover stories about surviving (How I Survived and Disasterproof Your Life) for 25 cents each. There were a lot of cookbooks, gardening books, and many homeschooling books and videos. Most were in the $0.99 to $1.99 range. I had been in one other time and saw quite a few camouflage clothes. I work in a military town, and I guess when folks end their enlistment, a lot of them donate their uniforms. I've read stories of thrift store finds such as cast iron cookware, camping supplies, and electronic devices. Everyone knows you can find clothes there. Today's visit got me thinking about a challenge. Between now 8 p.m. EST on February 13, take $10 to your favorite charity thrift store and buy whatever survival or prepping gear gives you the best bang for the buck. Post your list of what you got for your $10 on the comment section of this posting, and I'll pick a winner that I think got the best deals. If you win, I'll send you something useful from my barter larder. I think this can be a lot of fun for everyone and a great learning experience. Everyone is really a winner since you'll be getting prep items at a steep discount, and one person will win the bragging rights of "Best Thrifty Prepper - 2011" and something extra from me. Plus, the money you spend goes to a good cause. Good luck, have fun, and in the words of celebrity survival expert, Bear Grylls, "Put on the meat ponchos!" I know I said I'd have a big post today about the nuclear threat, but I just don't have the time. I'll get it out for sure on Saturday. A few weeks ago, I mentioned that we had gathered a bunch of stuff and were sending it to auction to raise money toward debt reduction and clear out space for more prep storage. The evaluator from the auction house came out last week. We have some things that I thought would be worth quite a bit, but weren't even accepted for auction. We had a few other things that I thought were barely yard sale worthy, but the guy got excited over. Today I took the day off work to take the things down to the auction house. I also packed up a bunch of the things that weren't accepted to take them to the Salvation Army. We have no use for the things, they aren't worth putting on EBay, but they are still good, usable items that someone can use. The nice thing is how much more room we have in our home. Every good survivalist has silver. Pre-65 "junk" U.S. coins, American Eagles, mining company ingots... But how does sterling fit into it? You'll hear different theories on this, but I think that sterling silver has value now, but using it as a barter item in a TEOTWAWKI situation is unrealistic. "Fine" silver is .999 silver (Eagles & ingots), and is easy to compute for weight value. "Junk" silver is .7234 ounces of silver per dollar of face value, and has its value as U.S. coinage, no matter the value of silver. If you want to know the value based on current spot price, I suggest Coinflation's coin calculator. If you're going out to buy or sell some junk silver, use this to make sure you don't get ripped off. Keep in mind that most buyers will pay a bit less than the spot melt value and most sellers will offer it for a bit more. In our stuff we went through for auction, there was a bit of assorted sterling flatware, candlesticks and salt & pepper shakers. It's worth more as scrap for melt than as antique eating utensils. Sterling silver is .925 (usually - some makers have used slightly higher or lower percentages in the 19th and 18th centuries. All sterling is (or should be) marked as such. If not, it is probably silver plate. Someone who knows what he is doing can test for sterling, but I have no idea how. To find the current melt value of your sterling, I suggest the Silver Recyclers' melt value calculator. Simply weigh your silver (be sure to remove the weight from the base of candlesticks, knife handles and shakers) and enter it in the calculator. The next goal is to find a place that will buy it and give you a fair price. The same buy low and sell high issues apply as the junk silver. From what I can see so far, it's a lot easier to find a place to buy your junk than your sterling. If It Hits The Fan is a place where I hope to learn from you as much as you might learn from me. If you have a skill or knowledge, I'd love to have you write a guest post. Maybe you have a small business that is related to prepping or self-reliant living, and you want to plug it on here with an informative posting. Send your posts to me here and I'll try to work them in when I can. It's great to have a couple guest posts on standby in case something keeps me from getting one out. I've got friends in the hearts of downtown Chicago and Dallas, and another in small-town northern Massachusetts. Chicago is under the third biggest snowfall ever. Dallas had heavy sleet and temps in the teens. Massachusetts got nearly 2 feet of snow. This is a bad one, folks. If you're in the path, please post a comment here or on our FB page telling the rest of us how you fared and any lessons learned. Carolyn over at Totally Ready has a great post today about some storm preps that will help no matter what part of the country you are in. Give her a read when you get a chance. Sorry for the short one today. Check in tomorrow for a big post about a nuclear threat and some things that you can do to help prepare and keep your family safe from it if it ever comes to pass. 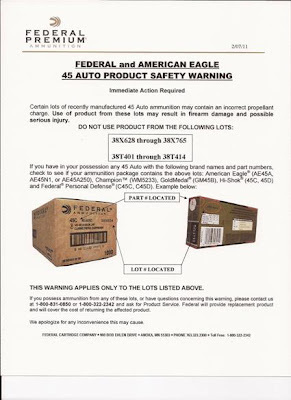 The last week of November of 1990, as I was gathering my gear preparing to go serve in Desert Storm, I got word that we might be authorized to carry personally owned sidearms. I went out and bought a used, but excellent condition, Browning P35, also known as the Hi-Power, a couple extra 13 round magazines, and the new (at the time) Bianchi M-12 military holster . Alas, we were not allowed to take our personal sidearms, and I never really got to appreciate the Hi-Power. I shot it a few times before leaving, and again a time or two after returning, but I quickly sold it for some reason or another. The Hi-Power is a classic design. It was the last gun John Moses Browning designed before his death. He felt that it was an improved design upon his 1911. Experts and laymen alike will debate that for another century, but it can't be denied that it is a cool piece of hardware with battle-proven effectiveness.